The building is a traditional merchant house and displays everyday articles from old times such as long swords, and hearths. 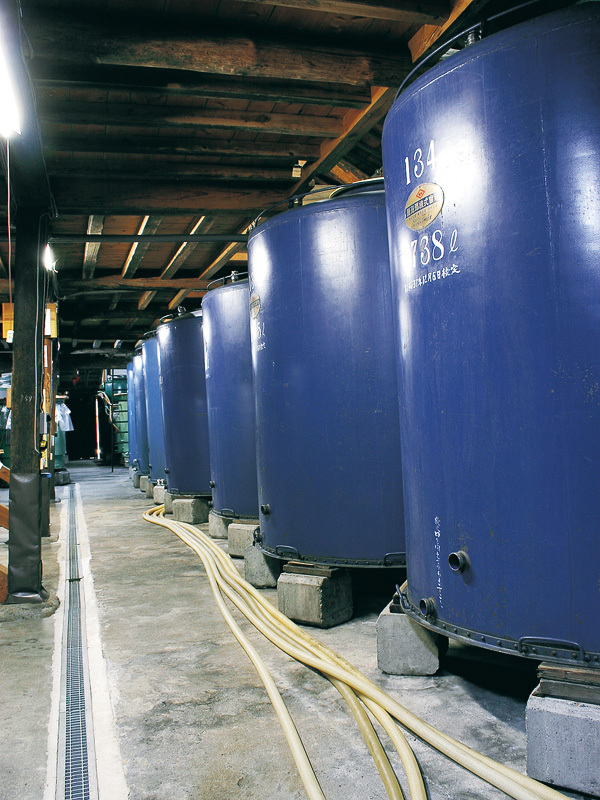 In the tank area, the aroma slowly builds. 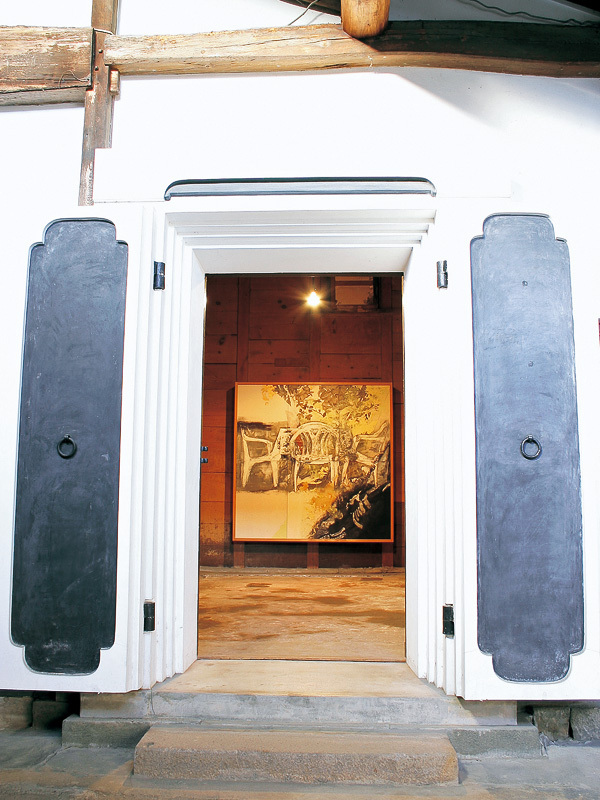 A gallery has been created here inside a rice granary to exhibit pictures and other artwork. 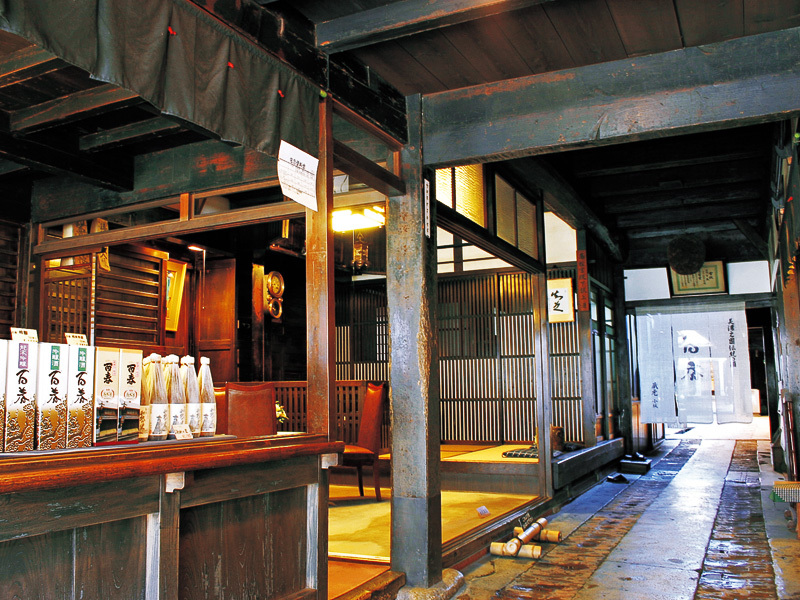 This building has been continuously used as a sake brewery since the Edo Period and is a Nationally-designated Important Cultural Property. 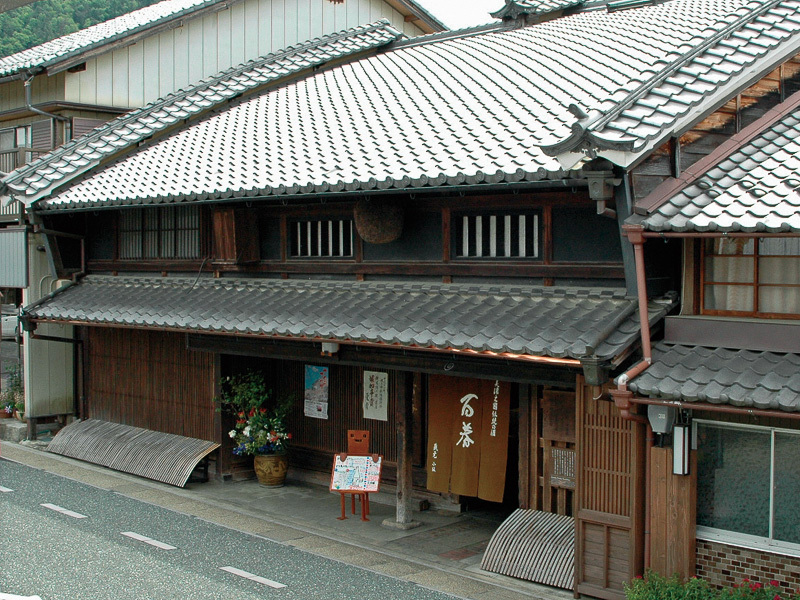 Only the Kosaka residence has a gable design without a ridge end tile. A prayer tablet dating from the 2nd year of the An'ei Era (1773) is attached to the entrance of the main building, an Indian-ink scroll dating from the first year of the An'ei Era (1772) is attached to a second-floor pillar in the sake storehouse in the back of the main building, and an inscription (heragaki) from the 9th year of the Meiwa Era (first year of An'ei) is on the roof tiles in the fermenting room. The main building has a frontage of 6 ken, a depth of 8.5 ken and three udatsu, one central and two on the ends (only the front gable currently remains). 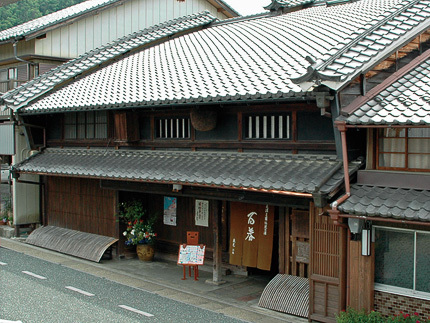 The beautiful Kyoto-style mukuri roof is impressive.